Vibrate the above two names. STEPrvkNTY/ RifigteB Qmp^l^A^^/ZT^lj/r^. Say: I now declare this temple duly closed. Knock (do not ring bell) once. Now, before you tear these pages into little bits and decide to abandon Magick forever because it is so complicated, stop for just a second and notice that this time I have not included a summary. This is because for this ritual you should make up your own summaries. Instead of using regular-sized paper, I used 4x5 index cards. I was able to fit the entire ritual on both sides of three cards. It looks much longer than it really is because of all the added instructions I have given you here. In practice, it takes little more than ten minutes if the LBRP and BRH are memorized. When you are making up your summaries or cards, be sure to go over how the invoking pentagrams are made. This was described in the last lesson. The Watchtower Ritual is a potent preparation for any Magickal ritual. 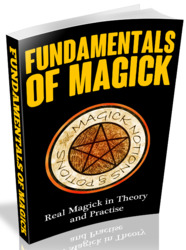 Some of you may be familiar with the version published by Israel Regardie in his book, Ceremonial Magick I must warn you, however, that that book is filled with many errors. This can be verified by checking what is printed in that book against both Regardie's The Golden Dawn and Laycock's Complete Enochian Dictionary. For those of you looking for a good introduction to the Golden Dawn version of Enochian Magick I suggest Gerald Schueler's book, Enochian Magic. 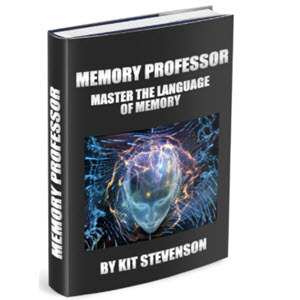 As long as you stay with the Enochian material as presented in this course, you will be able to use it safely and effectively. The material, as presented here, has been tested and practiced for almost 100 years. If you investigate this form of magick further, I urge extreme caution. Some people claim that the reason Aleister Crowley was unsuccessful in his lifetime was because of errors he may have made when doing the "Enochian Calls" form of this magickal system. In any event, the main thrust of this course is toward the Kabalah and not Enochiana. At this point in your studies it would be a good idea to practice this ritual at least once a week. Notice that I said, practice this ritual, not perform it. Separate it into sections and go over each section several times until you are very familiar with it. It would be best if you could memorize this ritual as it will be a major focus of all the practical or grey magick work which is to follow. First, the instruments or tools need the appropriate preparation. In a sense, they need to be initiated or dedicated to magickal service. Second, a final, ultimate magickal tool is needed. This ultimate tool must have some sort of universality in its nature so that it can virtually be used for any purpose as opposed to the elemental tools which represent certain singular qualitites. 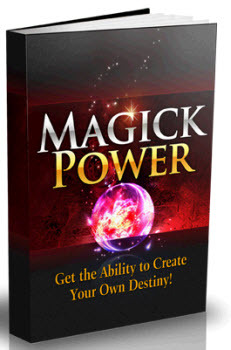 It is with this ultimate tool that the four elemental weapons will be energized, charged and consecrated to their sacred, magickal tasks. More on this tool in a moment. Meanwhile, it would be a good idea to spend some time thinking about how the Watchtower Ritual could be done with a group. The exact division of parts must be determined by the number of people who will be working with you. If you have at least four people in your group, each person can represent one of the elements throughout the Ceremony. If there are five people, four can represent the elements and the fifth can do the other sections of the ritual which are not totally related to one of the elements; that one person should sit in the East when not actively involved in the Ceremony. This person can be the leader of the group (at least during the Ceremony), and should not take part in the circumambulations. This person represents spiritual wisdom and Light. Light rises, like the sun, from the East, so this person (representing light) sits while the others circumambulate. As they pass, they salute with the sign of the Enter er in the direction they are going, not to the person. The respect is toward the philosophy and the sacred, secret science of Light, not to a person.